As a result of high demand for campsites at the Freycinet National Park, Coles Bay Tasmania Australia a ballot system operates for campsites from the 18th December until the 10th February and for Easter each year. The ballot system is drawn early August, and applications must be received by Freycinet National Park by the 31st of July, submitted either by letter, facsimile or e-mail. You can download the ballot form here, complete the information and return as an email attachment to freycinet@parks.tas.gov.au. You should contact the Visitor Reception Office on 03 6256 7004 for bookings during all other times of the year. Camping is available at Richardson's Beach in the dunes area; fuel stoves only allowed - no open fires. Honeymoon Bay camping is available in summer and Easter only, as is camping at Ranger Creek. There are electric barbecues, picnic tables, non-treated water and toilets at Honeymoon Bay and Ranger Creek. There is a toilet at the Wineglass Bay car park. For caravans, up to 6 metres in length, 19 powered sites are available. 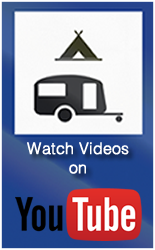 Caravan access is available only to powered sites. A designated backpackers camping area is available, however no cars are allowed and bookings can't be made. Groups must register with Visitor Centre. 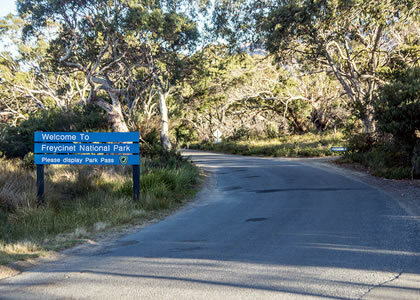 The Freycinet Visitors Centre is at the entrance to the Park, and provides information about this region through displays. Opening hours for the visitor centre are Summer 8am – 5pm (November – April) and Winter hours 9am – 4pm (May - October). Powered sites Campsites 1-18 are campsites designed to protect the fragile coast allowing for small caravans and campervans to camp with power, potable water, grey water disposal and an amenities block. There are two shared access tracks to the beach; each site is app. 7 x 4 metres. The sand dune campsites 19-45 are individual tent only camping areas clearly delineated. Each site has parking for one vehicle, shares a track to the beach and is within easy reach of potable water and modern amenity blocks that have cold water showers. Each site is approximately 6x7 metres. Honeymoon Bay Campsites numbers 46 - 52 are located on a granite knoll overlooking Honeymoon Bay. These sites are some distance from the amenities; there is a potable water tap. Sites 52 and 53 have steep slippery driveways better suited to 4WD vehicles and require a long walk to the toilets. These latter 2 sites are not recommended for young children; each site is approximately 6x7m. A basic campground is also available at Isaacs Point, Friendly Beaches. The turn off is app. 19 kms before the town of Coles Bay and the main park entrance. There are pit toilets, but no water. It is a fuel stove only area. National park fees apply, but there is no camping charge. Prices are for non-powered sites. The Freycinet National Park campground is a small coastal strip on the dunes of Richardsons Beach and the granite knoll of Honeymoon Bay. All campsites are only metres from the waters edge and both have safe, but unpatrolled beaches. Freycinet National Park has a visitor centre and an outdoor theatre. During summer a Park Ranger provides a range of activities; supplies can be bought from the local township of Coles Bay where you can obtain gas, food and other supplies.